Fresh from teaming up with fellow ‘My Kitchen Rules’ chef Gareth Stewart at the Headwaters Muster, Ben Bayly was again promoting Te Mana in esteemed company at the Mystery Creek Field Days. 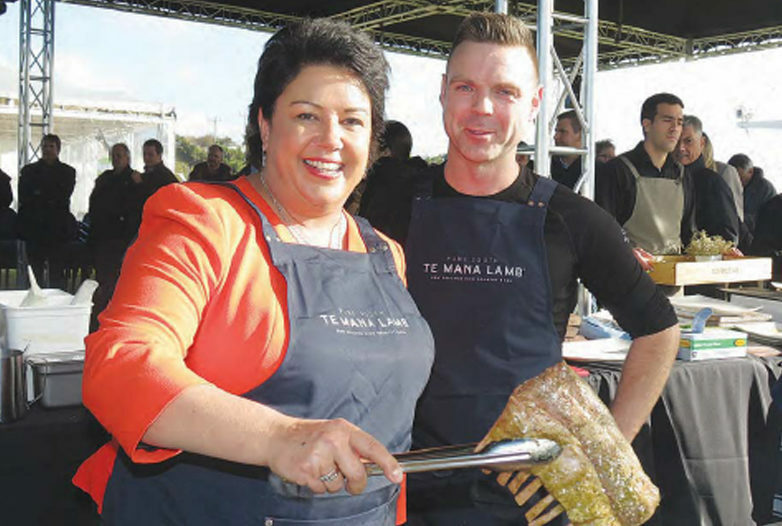 Pictured with Deputy Prime Minister Paula Bennett, Ben kept a watchful eye over politicians, including Bennett and Minister for Primary Industries Nathan Guy, who acted as ‘trainee chefs’. “One of the wonders of Te Mana lamb is that it’s hard to cook badly, so we were never going to be in too much trouble,” Ben quipped. Ben, who was previously a senior chef at Michelin Star restaurants in London and France, is serving Te Mana Lamb at his Auckland restaurants, The Grounds and The Grove. He said the experience at The Muster and, the following day at Dave and Millie Harper’s Braided Rivers in the Rakaia Gorge, opened his eyes. 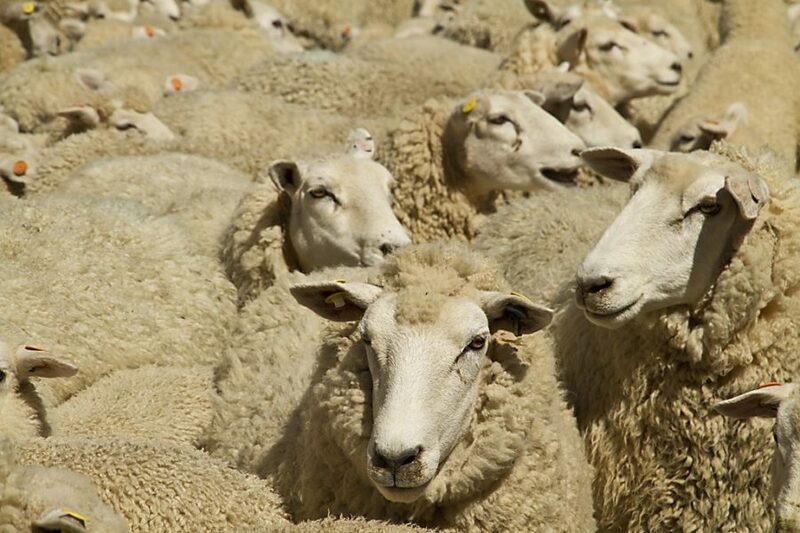 “I simply wasn’t aware how many moving parts there are to producing Te Mana Lamb and how much passion the farmers have for it. Ben Bayly with his sous chef, Deputy Prime Minister Paula Bennett.